Hi there. 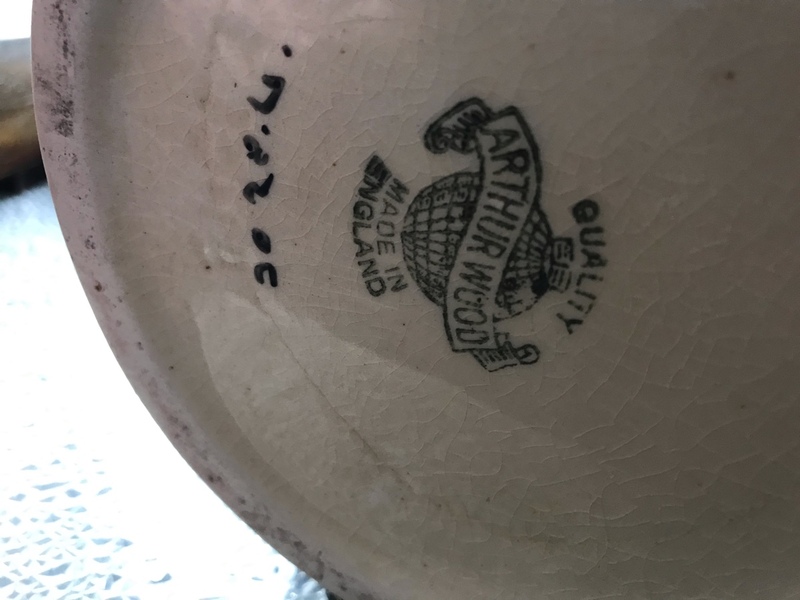 I am clearing a deceased property and have an Arthur Wood vase with the markings that LOOK like 20 20.U, any thoughts? Customer: I have no idea, it looks a bit art deco with pink, yellow and purple flowers with a fluted top rim in silver colouring. It only lets me send one pic at a time so I’ll send you a second with marks if I can. 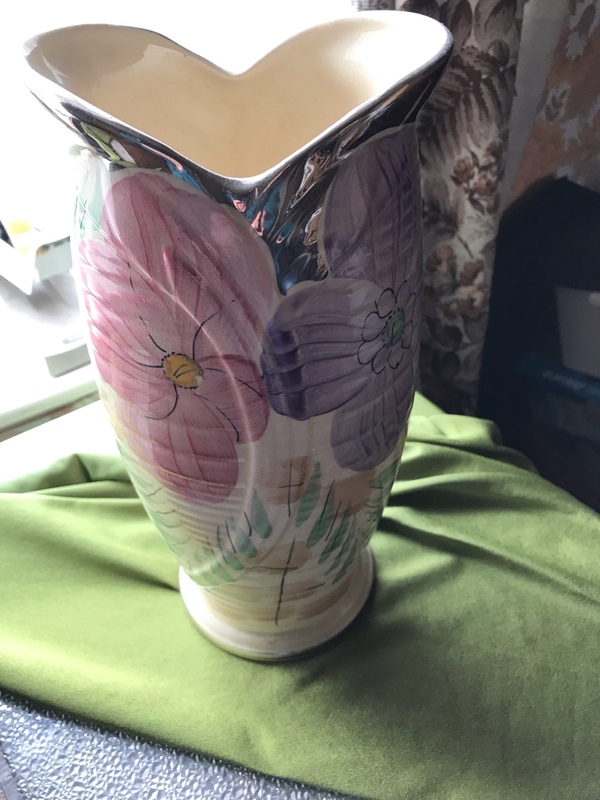 This is an art deco period 1920 to 1930 Arthur Wood of England pottery vase with florals having a value of 35GBP resale. Here are some great online sites for selling on your own; Tradesy.com, Mercari.com, Wanelo.com, decluttr.com, Bonanza.com, Etsy.com, eBay, Pamono.com, and Chairish.com (good for furniture and decorative items). I will also list the most popular local online classifieds where the buyer picks up from you;Varagesale.com (local), and letgo.com (local), 5miles.com (local). If you have more items, you must write the words Hi Rarewares as the first words in the start of a new question/new chat window in addition to requesting me. You can also "favorite" me as your Expert. silver, gold, figurines, pocket watches and dolls.